Gran Canaria is officially now one of my favourite places on the planet and I know I say this all the time but it really is. First of all the fact that they get a solid 12 hours of sun each day, that there is no time difference from the UK and no daylight savings shenanigans going on is fantastic. Secondly the climate is perfect for me; nice and warm, not too hot and a wonderful breeze when you need it too. Oh and I cannot forget the amazing landscape, I never thought that such a barren and dry view could be so attractive and tranquil. Yet it is and now I want to fill the house and garden with volcanic gravel, rocks and succulents. 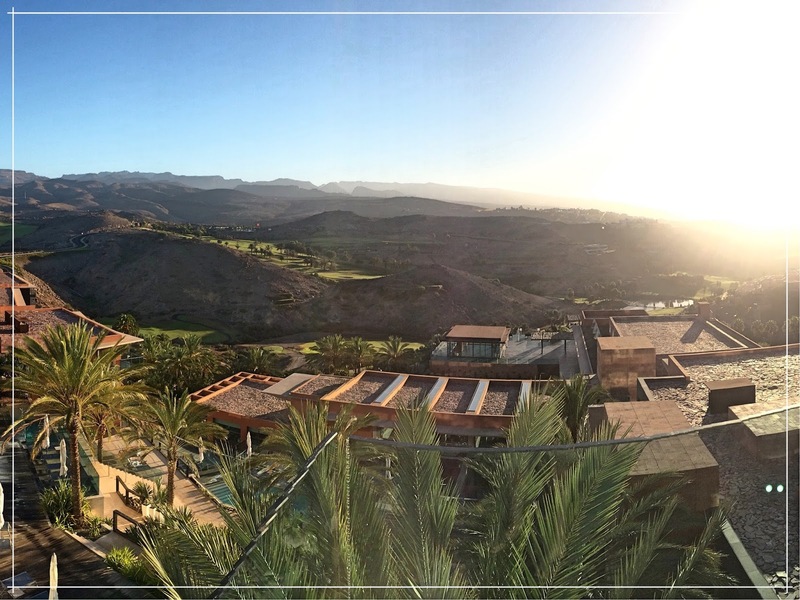 We filled our days mainly with the serenity of the poolside overlooking the Salobre Golf Resort just outside of Maspalomas, but also made time to go and explore our surroundings a little taking lunch in Meloneras a few times and scaling the Maspalomas sand dunes too. Our week in the sun was designed to be all play and no work, we left the laptops and home and enjoyed each others company, taking evening drinks on the balcony before dinner and listening to the jazz music in the bar after. I learnt a lot about myself on this holiday, that I can indeed relax when I want to, that I may actually be a bit of a bookworm and that I love Yoga to name just a few. But I also learned that what I have achieved has made me more comfortable and confident in myself. After all, in the past I would never have dreamed of getting myself up and taking myself off to try out a Yoga class on holiday, the idea of it would have struck fear into me. Sitting here now, one week on from coming back from our break away I can think of many things that I miss about our time in Salobre but the thing I find myself missing most on a daily basis is the peace and quiet, the amazing Sunrises and Sunsets and the calmness of our surroundings there. Gran Canaria, you are now on my list of happy places and as Arnie would say “I’ll be back”.